A 700-year-old stepwell, built by a 14th century mystic, is reputed to have miraculous powers. It is no surprise then that it attracts thousands of devotees even today. The legend has it that in the year 1321-22, mystic and 14th century Sufi saint Hazrat Nizamuddin Auliya began digging a stepwell or baoli around the same time the then Delhi ruler Ghiyas-ud-Din Tughlaq was building his own splendid city, Tughlakabad. A feud arose between the two, and the Sultan forbade the labourers from working anywhere else but on his fort and palace buildings throughout the day. Undeterred, the labourers worked quietly on the stepwell for the saint at night under the flickering lights of oil lamps. 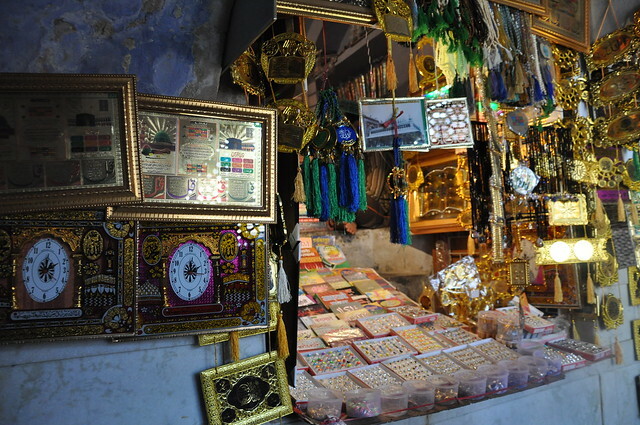 The furious Sultan ordered that there be no sale of oil to Nizamuddin Auliya to ensure only his work progressed. The saint simply blessed the water; the lamps, fuelled by the water from the baoli, were lit and the work continued uninterrupted. 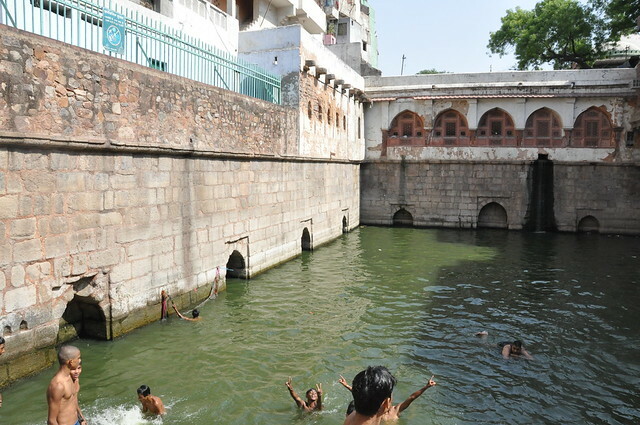 The water from this baoli is considered to have miraculous powers and continues to be held in reverence. The saint then went on to curse the emperor:"Ya rahe gujar ya rahe usar", meaning, his dream fort, on completion, would remain deserted or peopled by the nomadic Gujjar tribe . And as history tells us, the fort was abondoned, presumbaly, for lack of water. The plan shows that the baoli, though rectangular in outward appearance, has a stepped circular tank at its centre, with a depth of about 80 feet below the ground level. 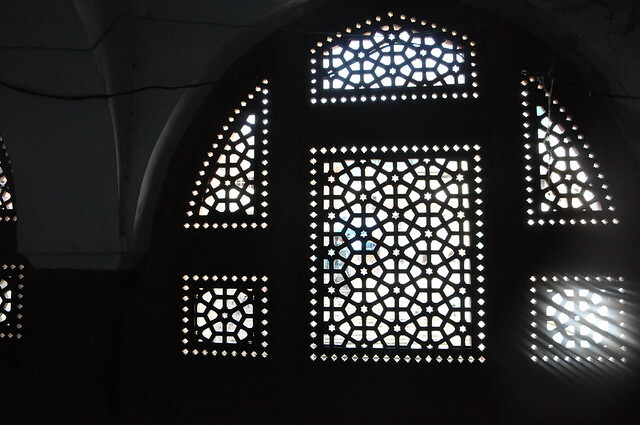 It measures 123 ft by 53 ft internally, and is enclosed by walls on two sides on which buildings are erected. Steps lead down into the water tank that is fed by underground streams. A marbled floor, from the dargah or tomb shrine, where qawwalis are played, lead to this stepwell. Beautiful antique pictures of this holy water site exist in the form of drawings and old postcards. 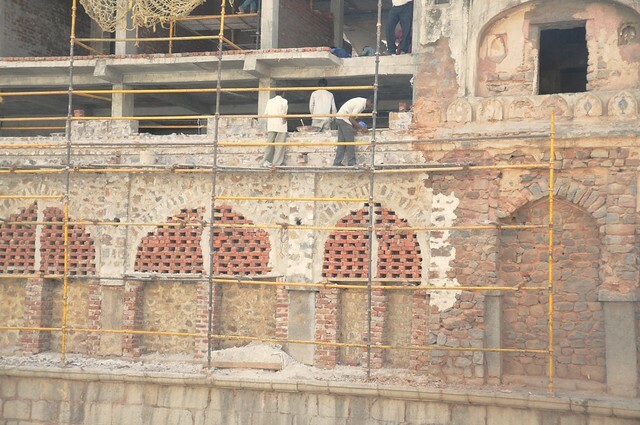 After some portions of the baoli collapsed in 2008, its conservation was taken up by the Aga Khan Trust for Culture, and the debris, accumulated over 700 years, have been removed from the water tank. 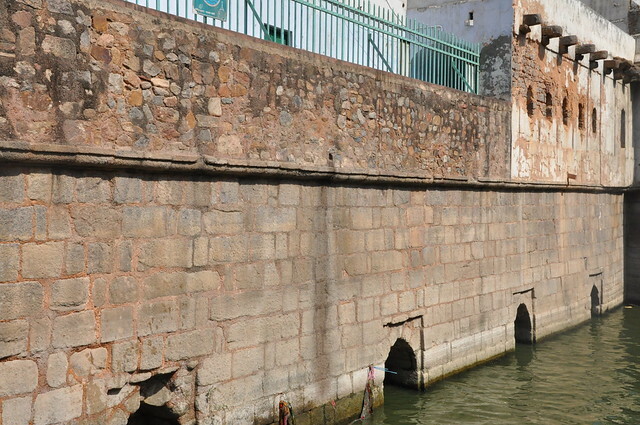 It was then realised that the waste disposal from the adjoining houses and wuzu (ablutions) water from the mosque were being drained into the baoli, contaminating its water. A sacred place of pilgrimage for believers across the world, it is a protected monument under the Archaeological Survey of India. 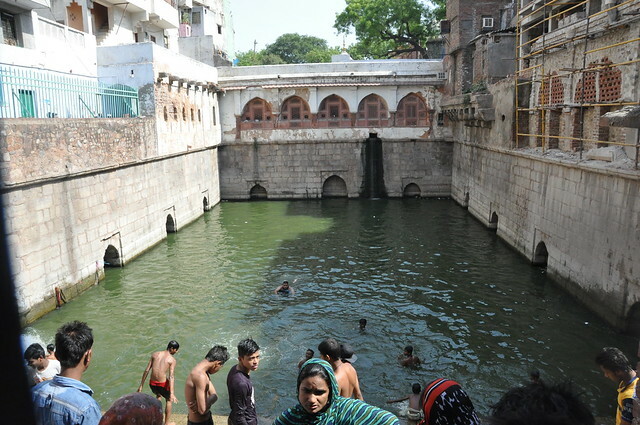 Today the baoli, an integral part of the dargah, is a hub for social and religious activity. 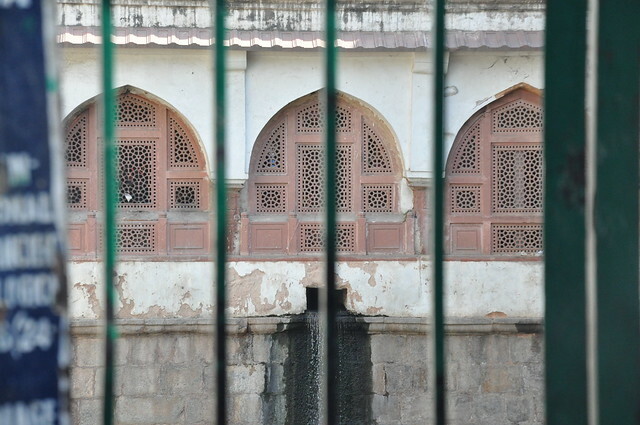 The 'baoli 'is within the Nizamuddin Dargah complex, in the Nizamuddin west area of Delhi, which is easily accessiable from Pragati Maidan, Indraprashtha, ITO and Jangpura stations of Delhi Metro. Delhi is connected by rail, air and road with all parts of the country. Water management: Still a neglected electoral issue?